When I was much (much) younger I remember going on road trips with my parents and looking at all the postcards in the roadside gift shops. Many had an oversaturated or almost cross processed look to them. 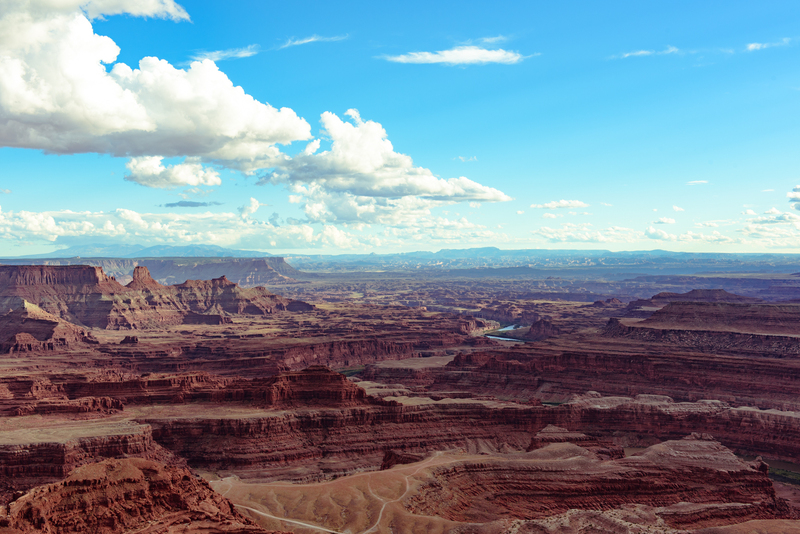 Last month I went camping near Moab, Utah and this snap seemed like the perfect candidate for that “postcard look”. I’m sure one could find an Instagram filter to do most of this, but seriously, where’s the fun in that? Time to experiment in Lightroom! 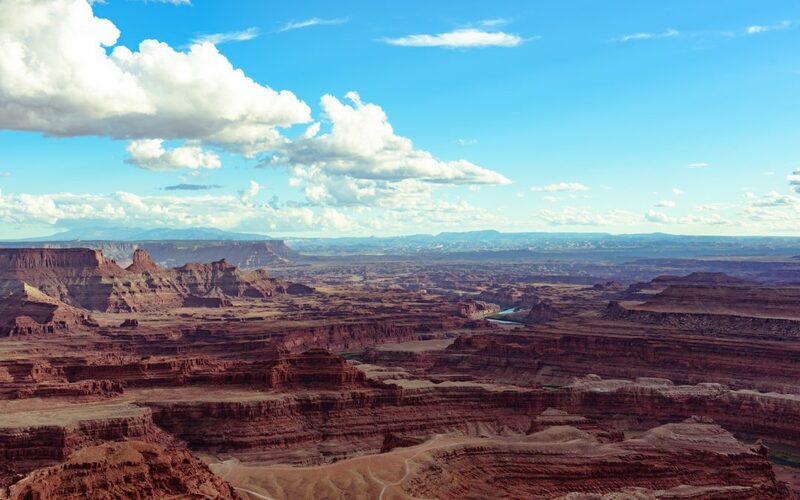 This photo was taken on Dead Horse point near Moab looking towards the Utah Canyonlands. It was around five pm so the texture of the landscape was clear and defined. There were fires nearby so a touch of the dehaze filter was needed. The dehaze filter is magic but it can cool images down, this is easily fixed with a quick boost to the white balance. Bringing up shadows helped with the bringing detail out of the darker portions of the canyons. To give that slightly faded feel the saturation was brought down, a touch of split toning was added and finally a boost to the white clipping gave that vintage printing process feel. I picked out the split tones to boost just portions of the blue for the highlights and the earthy parts of the landscape for the shadows. Why not just dial up the saturation across the board? 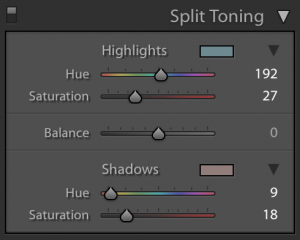 The saturation slider will boost all colors across the spectrum. I suspect the postcards I remember used as few colors as possible in the printing process to keep costs down. This would leave you with an image with just a few vibrant colors for a geeky kid to stare at in the back of the parents station wagon. Do you remember those vintage cards? I hope you enjoyed the explanation, feel free to leave comments or questions below!